"Culture for Service, and Service for Humanity"
Sigma’s Stepping To Save Babies initiative: Our goal is to raise $75,000 with each chapter raising a minimum of $200. The American Cancer Society and Phi Beta Sigma are waging war against cancer. Through this partnership, the two organizations fight cancer through legislative campaigns aimed at promoting legislation that combats cancer, encourages education and awareness, and seeks to level the ills of disparity between those who can afford treatments and services and those who cannot. Our partnership with the American Cancer Society marks a new advocacy outreach strategy that will effectively engage Phi Beta Sigma members to take action in legislative campaigns. American Cancer Society has developed a way for members of Sigma and Zeta, and our family and friends, to write letters to congressional leaders requesting action on particular legislative issues. These action campaigns are called Code Blue Alerts. Brothers will receive the Code Blue Alerts via email. They take two minutes to respond to and they’re easy. These actions that help increase funding for prevention of health disparities and other health issues. Sigmas will participate in Relay For Life and other fundraising for the American Cancer Society as well. Our goal is to raise $100,000 over the next two years through Relay For Life and other fundraisers. Each chapter is expected to raise and contribute a minimum of $300 to the American Cancer Society. 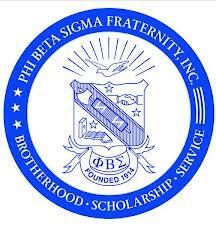 In 1950 Phi Beta Sigma Fraternity became the first Greek organization to develop a youth auxiliary group. Under the direction of Dr. Parlette L. Moore the Sigma Beta Club was founded. Brother Moore was concerned about our changing needs in our communities and recognized the important role that Sigma men could play in the lives of our youth. The Sigma Beta Clubs’ four major principles of focusare on Culture, Athletics, Social and Educational needs. 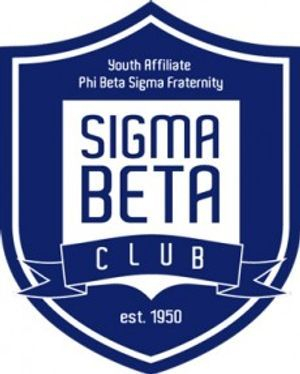 The Sigma Beta Club offers a unique opportunity to develop values, leadership skills and social/cultural awareness in our youth during their developmental years. Sigma Beta Club programs are geared to meet the needs of its members, but at the same time provide them with a well-rounded outlook that is needed to cope with today’s society. Phi Beta Sigma is confident that investing in our youth today will produce the effective leaders of tomorrow. 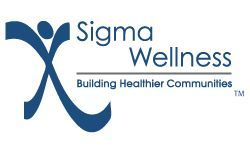 In an effort to raise the awareness about the impact of HIV/AIDS on the African-American male population, Phi Beta Sigma Fraternity, through it Sigma Wellness signature initiative has developed a new project, the Conversations Among Brothers Series. 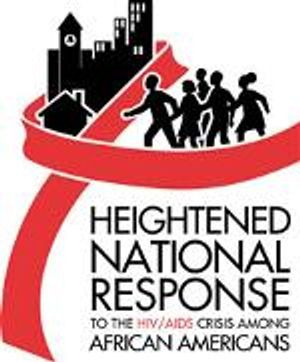 This initiative is targeted at African American men on college campuses and is designed to encourage ongoing peer-to-peer discussions about topics and issues that adversely impact African-American men, particularly HIV/AIDS. With the alarming number of African-American men between the ages 17-24 that are infected with the disease, it is imperative for organizations whose membership encompasses such demographics to take a proactive position in helping to address this matter of urgency. To that end, Phi Beta Sigma Fraternity, primarily through its collegiate chapters, seeks to facilitate ongoing dialogue among Brothers on college campuses. In addition, the Fraternity seeks to encourage African-American men to not only become aware of the impact of the disease on our communities but to get tested and become advocates for HIV/AIDS testing. The Fraternity realizes the need to leverage the power of peer interaction and actively engage young people in their educational efforts in a way that goes well beyond typical initiatives like lectures and traditional programs. Phi Beta Sigma Fraternity wishes to directly involve young people in a peer-to-peer way which adds energy and momentum to the educational efforts and objectives as set forth in this new initiative. Phi Beta Sigma Fraternity, Inc., an international organization comprised of 150,000 college-educated men, focuses on issues that impact the youth and our communities. Through our national mentoring program for males ages 8-18, the organization provides opportunities for the development of young men as they prepare for college and the workforce. The organization’s partnerships with the American Cancer Society, March of Dimes, Center for Disease Control and Prevention, Boy Scouts of America and the Thurgood Marshall College Fund speak to its mission to address societal ills including health disparities and educational and developmental challenges for young males. To support Sigma’s vision of ensuring programs are focused and committed to serving our communities and serving young males through mentoring and scholarships. To ensure symmetry among all of our organizational and community initiatives.